Apples are one of the most popular thematic units for fall. This year, add some new hands-on activities to your classroom. Here are some of our favorite super cute apple activities for Early Childhood Educators that line up with early learning standards. Use this fun experiment to talk about bubbles, surface tension, water tension, surfactants, and more. Write about your experiences and observations on a huge chart paper for a shared writing activity. With just a few felt apples and the book, Ten Red Apples your students will be counting and ordering the numbers 1-10. 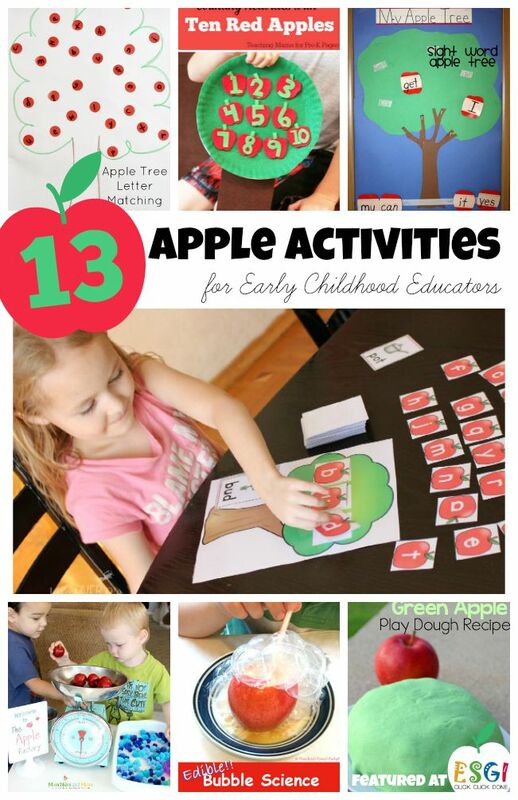 Set this activity in your literacy station for a quiet time math collection or have each child make their own apple counting tree to take home and practice their numbers. Print this cute set of apple number cards and set them up in a pocket chart. Math the number to the number word, put the cards in numerical order, or set up simple number sentences. There are so many poosibilites! Make this apple sensory bin for fine-motor play and creative exploration. Add some measuring cups to let the kids practice pouring. Some preschoolers could play with these bins for hours! We like to set our bins on a large table cloth to contain the mess. Too messy? Put the fillers into bottles and make an eye-spy bottle instead. Get your kids stamping and learning about the letter A with this cute DIY letter A stamp and apple craft. Encourage the children to say the /a/ sound every time they stamp an A! Welcome to the apple factory! In this center, children will weigh, count, wash and pack pretend apples. Leave it out all week and write down your observations on how well children work together, how they use the scale, and the vocabulary they use. Connect science, literacy, and fine motor development with this story re-telling activity. Buttons, beads, or pom poms will work in leu of the gems pictured. Activate children's sense of smell and touch with this delicious apple scented playdough. Make a batch and set it out on a table next to some letter flashcards. Encourage children to roll and make the letters with the playdough. You won't believe how easy these apple mini books are to assemble. All you need is red construction paper, white or lined paper for inside, a scissor to make the shape and a staple to put it together. The kids can free write about apples, make an apple vocabulary booklet or follow your instructions for a sight word apple story. This is a great project to send home with a parent who wants to volunteer, but cannot make it to school during the daytime hours. Send the supplies home in a large plastic bag with a little note on how to make it and a sample one that has been pre-made. I like to give parents a week to complete these type of activities. 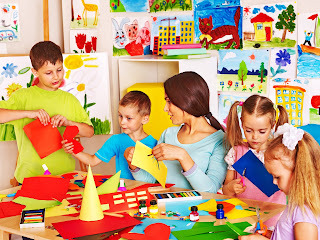 Young children need many opportunities to interact with a variety of art materials. Dip and stamp and orchard! This craft is quick to set up and easy to do in small groups of 5 or less. Tie in math patterns by offering red and green paint. Children adore stickers! Make a copy of this letter tree and encourage them to match the uppercase letter to the lowercase. No stickers? Have children use a red dot-marker and stamp the letters in ABC order. Have space on your buletin board? Make this interactive sight word tree. Call out a sightword during circle time and let your children "pick" the correct apple. Are your students ready for building consonant-vowel-consonant (CVC) words ? This mat creates the perfect apple themed place for word building. Two levels of playing cards are included in this free printable; pictures with words and just pictures. Just for parents: In case you are wanting to make your child's teacher a special apple treat - I'm sure this home-made apple ornament via Fireflies and Mudpies would receive 5 stars! Tuck in a gift certificate to a local teacher store or coffee shop! Education K-12 and one of the bloggers behind the parenting and education site: The Educators’ Spin On It. She has worked as a teacher in diverse classrooms and has experience with English Language Learners. She enjoys inspiring other parents and teachers worldwide through her creative, inventive writing. Her writing has been published in Parents Magazine, Sylvan Source, and Nat Geo online. 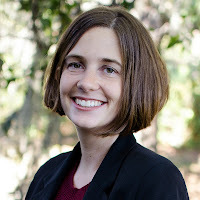 ESGI is doing a happy dance over our newest “Friend of ESGI!” Vanessa Levin of Pre-K-Pages has joined our team of professional custom assessment authors with an introductory series of Pre-K basic skills assessments, including Kinder Readiness. These fantastic resources are available to ALL ESGI subscribers! 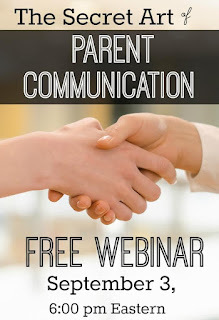 As part of the new partnership celebration, we are offering a FREE WEBINAR on The Secret Art of Parent Communication! Sign up TODAY and share this invite with your colleagues. Vanessa is a passionate advocate for high-quality early childhood education. 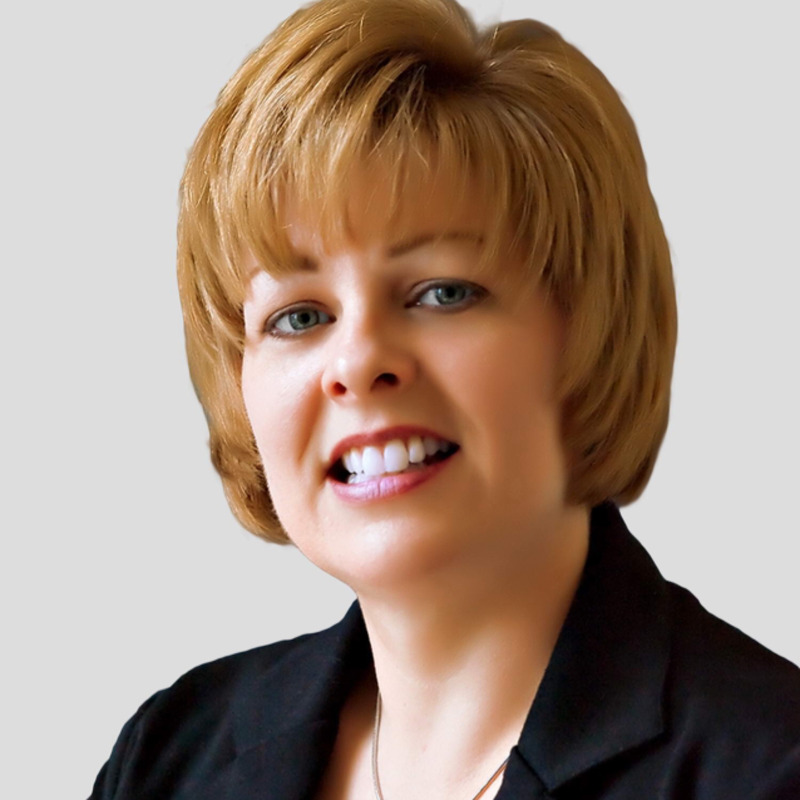 She has served as a teacher, mentor, curriculum writer, specialist, and professional development consultant for public and private early childhood programs throughout North America. Vanessa is the founder and creator of Pre-K Pages, a popular website for early childhood teachers. We love creating books with our kindergartners! And they love having literature to take home and keep their own copies of pieces of forever. But we want to keep our prep time to a minimum and make the children responsible for the work. So here’s a brief explanation of why and how we do that! Cutting practice takes PRACTICE! Teaching eye-hand coordination and Bi-lateral coordination can be a challenge at times, but we have developed ideas and materials to help you! Our students create “collage books” using shapes they cut out of paper. Why do we use collage instead of crayon drawings? We have discovered that young children tend to scribble when drawing an object and nothing looks as it should! A collage puts the thinking back onto the children. They need to ask themselves, “Which square or rectangle should I use for the body? The head?” etc. A collage requires planning. Students must decide where the pieces go on the page; make sure they don’t cover the words on the page; decide about spacing so as to not leave too much space on the page. A collage requires measuring. Are all the legs the same size? Is there the correct number of legs? How do we make something longer? Shorter? Every collage is unique! No two illustrations are the same, unlike ones that are created with patterns or tracers. The children take pride in their work and find success at any developmental or instructional level. We only prep squares and rectangles on our paper cutters for our pages. Then we teach our students how to cut off the corners while we chant “Corner, Corner, Corner, Corner.” We trim the resulting little points to make circles and ovals while saying in a squeaky voice, “Haircut, Haircut, Haircut, Haircut, Haircut.” No tracing pattern needed! One important “cut” is the mountain shape from a square or rectangle. The children cut up the mountain and then down again resulting in a fun shape for smiles, frowns, frog bodies, and much more! We only prep for the main pieces of the illustration for the day. In our classrooms, we have a large container (cardboard or plastic box) for all the “extra” paper from the day. We save it so the children use small scraps for details of the illustrations such as eyes, whiskers, flower petals, or sun rays. Many of our students will dig into that box during free choice time to make their own creations! You can get our complete set of directions with all our wording, techniques, and helpful hints on TpT or by clicking right here! 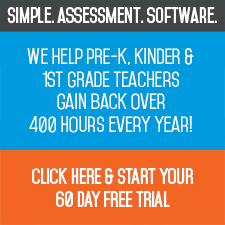 Give a KinderLit book a try! Your students will love you for it! 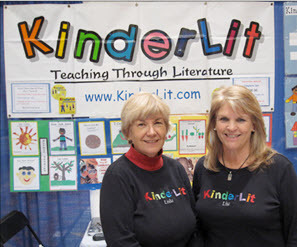 About KinderLit: Linda and Lisa have over 60 years combined experience in Arizona, Washington, and Massachusetts teaching kindergarten. They have traveled around the country exhibiting and presenting at kindergarten conferences. Lisa is still teaching in Phoenix and Linda has retired and moved to Georgia to be close to her grandchildren. Lisa and Linda were honored as excellent kindergarten teachers by the Washington Elementary School Board in Phoenix, AZ. Lisa was selected as an Office Max "A Day Made Better" in 2010 and is a Lamp of Learning winner in 2012 in her school district.